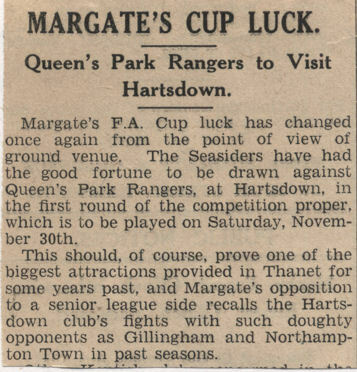 Division Three (South) club Queens Park Rangers visited Margate for this FA Cup 1st Round Proper tie at Hartsdown Park having won their last three league games and scoring nine goals in the process with striker Tommy Cheetham bagging six of them. 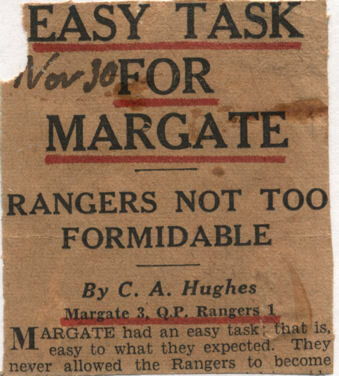 Despite the R's good form Margate proved too good for them and a goal from Joe Clare inside the first five minutes set the tone for a giant-killing before Dave Robbie added a second before half-time. 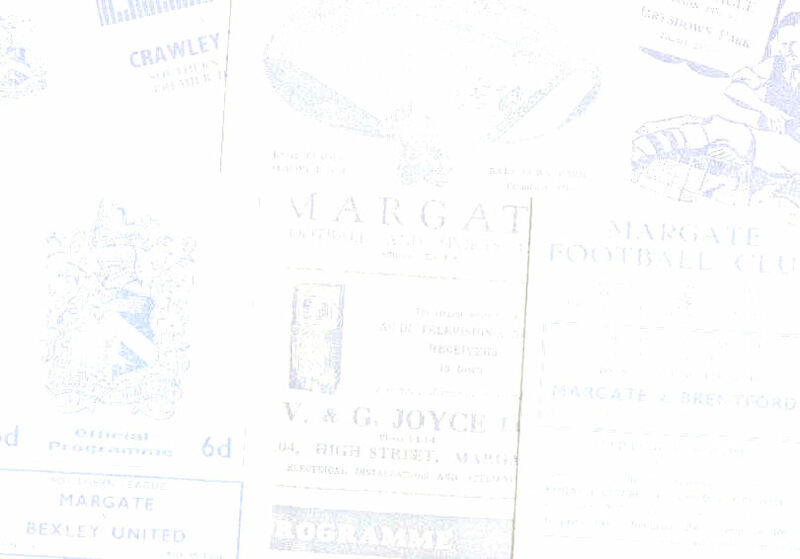 Cheetham got one back for QPR in the second half but captain Jack Lambert made it 3-1 with 15 minutes left.